Since we finished the recordings of the upcoming album, the songs got mixed and mastered. We’re super happy with the result and can’t wait to release that damn thing. In the meantime we invested some time to work on some cinematic video clips. And we even pimped our outdated outfits a tiny little bit. 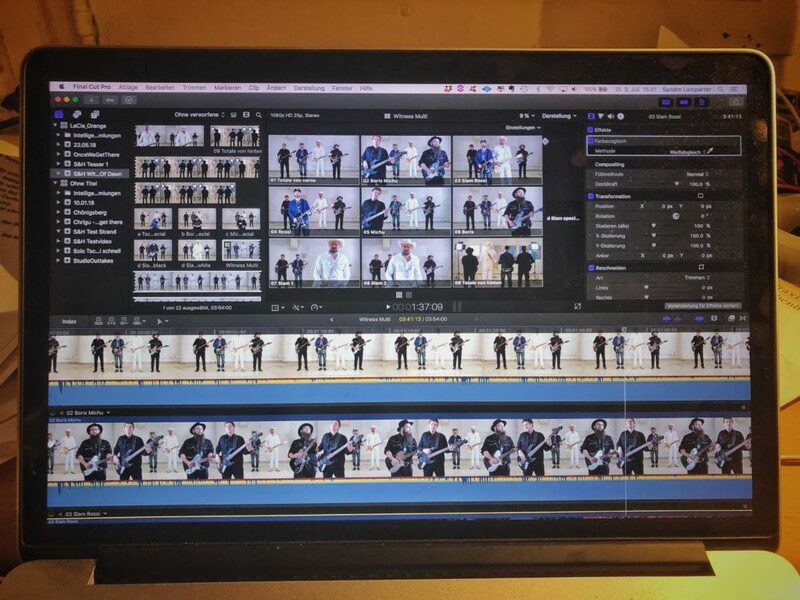 There will be clips to 2-3 songs plus one trailer clip for the new album. These days you gotta spend more time on videos than on the recordings, ha ha.